Today’s post looks at an area unique to state false claims act statutes – namely, qui tam actions alleging false claims and fraud against state governments for the clean-up of underground gas storage tanks. Several states have brought false claims enforcement actions recently, but first a little background on the law of petroleum tanks and why it is an issue today. It is a well-known bit of American history that after World War II Americans became fascinated with cars. As Americans became used to driving everywhere, the automobile industry flourished and provided hundreds of thousands of jobs. The United States government encouraged (and helped to finance) this love of cars (in part) by making the interest paid on a car loan tax-deductible just like the interest paid on a mortgage note is deductible today. (In fact, such interest was tax deductible up until the time of the Vietnam War). With this increased demand for cars came an inevitable increase in demand for gasoline. Tens of thousands of gas stations opened across the country during the post-war boom. No main street anywhere was complete without a few gas stations, and ownership of a gas station quickly became an all-American small business, right alongside the family farm. No one stopped to think about what would happen when some of these gas stations closed – and certainly in that age of limited environmental knowledge, no one stopped to think about the ramifications of tens of thousands of underground tanks leaking petroleum into the soil and into the water supply. As a result, by the 1980’s, the United States had a nationwide problem with old, leaky, underground petroleum storage tanks. Congress and then the Environmental Protection Agency began taking action, and much legislative and regulatory ink was spilled. Lots and lots of stuff happened — and much of it was painfully dull so I won’t convey it here. Instead, I will cut to the chase and say that nowadays, each state administers its own petroleum tank clean-up fund. Without exception each state’s fund functions as an insurance program; owners and operators of petroleum tanks in Virginia (and other states) must demonstrate that they are able to bear their fair share of the costs of the cleanup if one of their underground petroleum storage tanks leaks. Once the individual owner’s obligation has been met, the state’s fund will reimburse for the cleanup and for other reasonable, necessary and otherwise eligible corrective actions. And this fund is where the potential for mischief – and violations of state false claims acts — arises. The petroleum tank remediation fund of each state is more or less the same, although some of them have cooler names than others….so we will take a look at Virginia’s. In Virginia, our state program is called the Virginia Petroleum Storage Tank Fund; the Commonwealth’s primary revenue source for the Fund is a state fee of one-fifth of one cent per gallon on regulated petroleum products, including gasoline, aviation motor fuel, diesel fuel, dyed diesel fuel, kerosene, and heating oil sold. This fee, which is collected by the Virginia DMV, is monitored and maintained at an appropriate operating level and is increased by the Commissioner of Motor Vehicles to three fifths of one cent when notified by the Comptroller that the Fund has been, or is likely to be, reduced below three million dollars. Simply stated, if a petroleum seller obtains coverage for the costs of tank remediation from any source other than the state fund, those costs are not eligible for reimbursement. This is made very clear on the Virginia Petroleum Storage Tank Fund Reimbursement Application, as well as in Virginia Regulations such as 9 VAC 25-590-210 which specifically state that claims paid by an insurance company are not eligible for repayment from the fund. The possibility of double-dipping is and always will be too much for some unscrupulous folks, however, and in my humble opinion, these cases demonstrate very nicely why every state government needs a state False Claims Act statute. 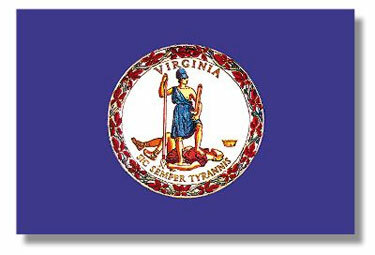 While I am unaware of any Virginia Fraud Against Taxpayers Act cases alleging violations of these or any other provisions of the Virginia Underground Storage Tank fund, there have been several notable cases in other states recently, and we can be 100% certain that these violations are taking place right here in the Commonwealth. For example, over the last three years or so, Massachusetts Attorney General Martha Coakley has recovered more than $7.9 million in FCA prosecutions. In April 2012, AG Coakley announced a $2.2 million settlement with Sunoco involving the company’s reimbursement claims to the Massachusetts UST Fund. In December 2012, the AG’s Office announced a $1.7 million settlement with Chevron and Texaco. Minnesota officials have also used the Minnesota False Claims Act to sue gas wholesalers, including a 2013 settlement with Chevron, ExxonMobil and ConocoPhillips. Those three companies agreed to repay the state of Minnesota a total of almost $8 million for concealing that insurance companies had already pay the costs associated with leaking tank remediation. And, in February of this year, the state of Minnesota filed suit against BP PLC alleging that the company filed 1,407 claims for reimbursement through the PetroFund (that is what Minnesota calls it) beginning in 1988. For each one of those 1,407 claims, BP was paid in full by the Minnesota petrofund; for each of those 1,407 claims, Minnesota alleges, BP/Amoco was also reimbursed through private insurance policies. And how did Minnesota figure that out? Because BP filed lawsuits against any insurer with the audacity to deny BP’s insurance claim for the costs associated with petroleum storage tank remediation. public records show that BP recovered close to $300 million from insurers to denied the claims. OUCH! No wonder the petroleum jobbers showed up to lobby against the Maryland False Claims Act last week….